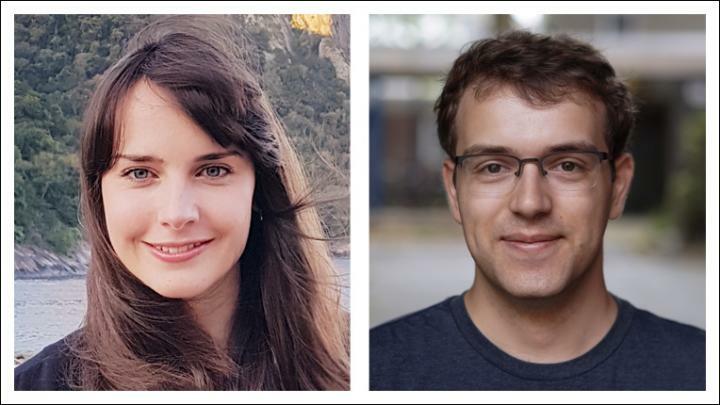 ACM, the Association for Computing Machinery, announced today that Linda Gesenhues of the Federal University of Rio de Janeiro and Markus Höhnerbach of RWTH Aachen University are the recipients of the 2018 ACM-IEEE CS George Michael Memorial HPC Fellowships. Gesenhues is being recognized for her work on finite element simulation of turbidity currents with an emphasis on non-Newtonian fluids. Höhnerbach is being recognized for his work on portable optimizations of complex molecular dynamics codes. The Fellowships are jointly presented by ACM and the IEEE Computer Society. Gesenhues' work on turbidity currents may be a useful tool for scientists studying underwater volcanoes, earthquakes or other geological phenomena occurring on the sea floor. Fluids, including water, become turbid when the concentration of particles, such as sediment, rises to a particular threshold. Because of their density, turbid fluids move differently than non-turbid fluids–frequently cascading downward as they are impacted by gravity. The presence of turbid currents can indicate that mud and sand have been loosened from collapsing slopes, earthquakes, or other phenomena. For these reasons, scientists regularly place turbidity sensors on the sea floor to monitor geologic activity. A challenge of understanding turbidity currents is cataloging the range of possible movements a fluid may make based on the variables in its surrounding environment. For this reason, employing supercomputers, which can process trillions of possible permutations, is an effective approach. The objective of Gesenhues' PhD project is to obtain a model for numerical simulation of turbidity currents that can predict the characteristics of such flows using non-Newtonian fluid behavior. Non-Newtonian fluids have a higher resistance to deformation than Newtonian fluids; for example, shampoo (a non-Newtonian fluid) loses its shape more slowly than water (a Newtonian fluid). Thus far, Gesenhues has developed a "solver" (a numerical model) for a 2D simulation of turbidity currents that has been implemented, established and verified. Recently, she augmented her 2D solver to a 3D model. Here, first tests on small 3D benchmark applications were made, including a column collapse. Markus Höhnerbach's research focuses on creating simulations for many-body potentials in molecular dynamics (MD) simulations. MD simulations are an indispensable research tool in computational chemistry, biology and materials science. In an MD simulation, individual atoms are moved time-step by time-step according to the forces derived from so-called potential, which is the mathematical law that governs the interactions between atoms. The general idea of Höhnerbach's PhD project is to develop methods and tools to make the implementation of MD simulations simple and correct by design while generating fast code for a multiple of platforms. For example, in his paper, "The Vectorization of the Tersoff Multi-Body Potential: An Exercise in Performance Portability," he demonstrated the performance of a type of MD simulations in a wide variety of platforms and processors.